We will definitely be using RecRight video interviewing tool in our future recruitments as well. Shopkeeper Marjut Pulli had no previous experience of using a webcam, but that lack of experience played no role while recruiting a salesperson/kitchen planner using RecRight video interviewing tool. Keittiömaailma was looking for a single salesperson/kitchen planner to be recruited for their office in Lappeenranta, but thanks to a successful recruitment and usage of RecRight video interviewing tool, three people were hired instead of one. "When it comes to sales work, with video interviews we were able to get a much better look at candidate's personality and traits. It was much easier to complete the recruitment process, when we were able to watch the candidates on the video besides reading their applications. For Keittiömaailma, it was important that the candidate was able to sell him/herself besides the product. With a video interiew, it was easy to evaluate the applicant's appearance and verbal skills" explains Pulli. 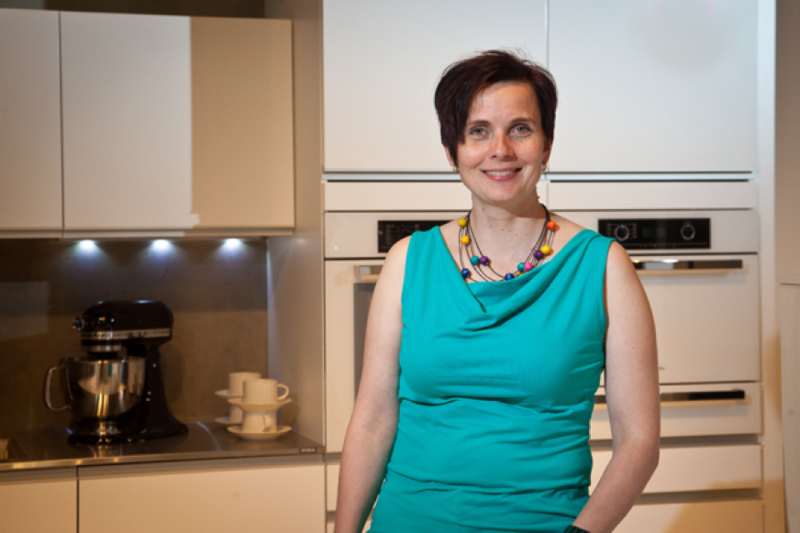 Marjut Pulli had no previous experience of using video interviews in a recruitment process. Neither did majority of the candidates. For the recruiter, the experience was very positive. The opportunity to easily interview candidates from all around the country, and the time saved by avoiding all the problems related to scheduling were praised by Pulli. Also taking the tool into usage was very easy, regardless of the fact that Pulli did not own a webcam. "RecRight video interviewing coach Anne Alarousu sent me a webcam to my office, and instructed me with an on-line seminar in how to use the vide interviewing tool. Recording the questions ended up being fun and easy, as soon as I found the place and the time to do it. The possibility to watch the applicants' replies from my iPad or laptop anywhere I wanted really came in handy." After the first round of the interviews, the potential candidates had their video replies sent to Marketing Director Matti Purhonen and Field Manager Jorma Korpela for evaluation. The best candidates were invited for a face-to-face interview in Lappeenranta. As a method, video interviewing was experienced as an easy and comfortable method also by the candidates. "The interviewees described this as a very interesting recruiting process and were really excited about it. Most of the applicants were of older age, and they were not familiar with using a webcam. However, they succeeded really well in the interviews" Pulli describes. When asked about Keittiömaailma's future use of RecRight video interviews, shopkeeper Pulli's answer leaves no room for doubt. "Now that you have made one video interview, it's really easy to do it again. In the future we can add a short video presentation of our company, which will help us to highlight our company's image as an employer. The whole recruiting process was more effective, we saved both our own and applicants' time using video interviews. We will definitely be using RecRight video interviewing tool in our future recruitments as well" Pulli concludes.